‘Tis the season for giving, and educators certainly know the truth of that statement as they choose to spend their lives serving thousands of needy students throughout Maine. 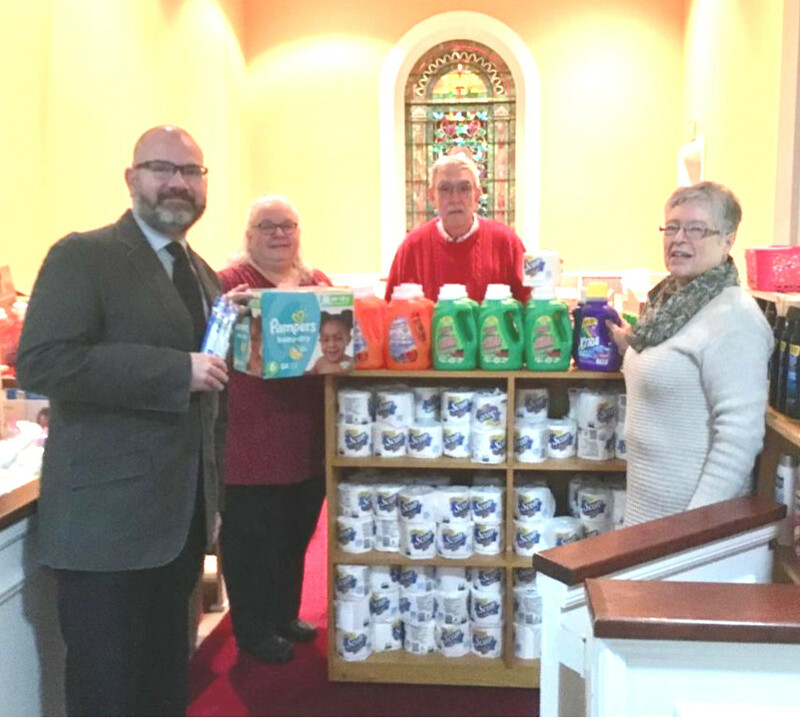 Members of Kennebec Retired Educators Association (KREA) and Kappa Chapter of Delta Kappa Gamma International recently donated a variety of items and funds to The Waterville Essentials Closet at the Waterville First Congregational Church on Eustis Parkway, Waterville. Pastor Mark Wilson explained, “A few years ago our church sought the alignment of God’s dream for our church in our community and how we could help the needy the most. After meeting with community leaders, it was noted that we have the local soup kitchen, evening sandwich program, the food pantry, and homeless shelter. 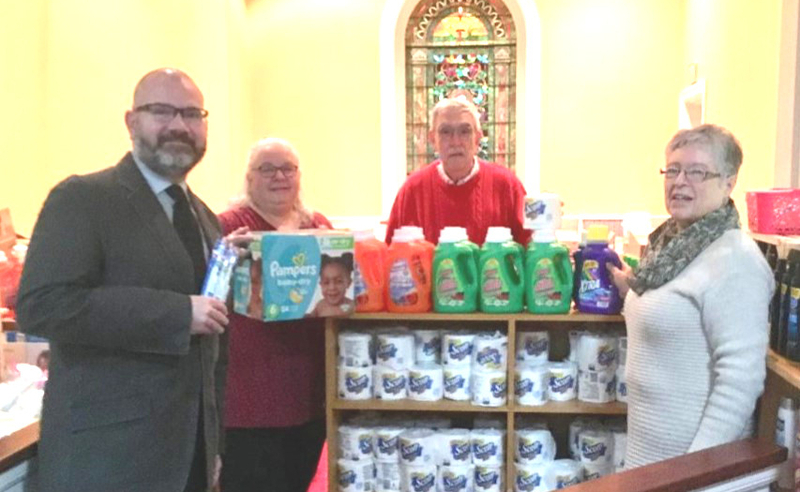 “However, in none of those places are people able to obtain the essential items – laundry detergent, toilet paper, dish detergent, shampoo, paper towels, tissues, bath soap, feminine hygiene products, toothbrushes, diapers, baby wipes, and toothpaste. The program depends on 20 volunteers, “and we are always looking for more,” says Lora. Volunteer Carl Daiker, of Waterville, says he greets the patrons when they walk in the front door and logs their names and contact information. They are then directed to another volunteer who is in charge of distributions. The Essentials Closet is open the last two weeks of every month—Mondays, 5 to 7 p.m. and Wednesday and Friday from 9 to 11 a.m. “We have served more than 900 people and average about 200 people per month from all over Central Maine,” said Lora. Donations to the Essentials Closet may be dropped off at the church office Monday through Friday from 8 a.m. to noon. For more information interested folk may call the church at 872-8976.